Hello! 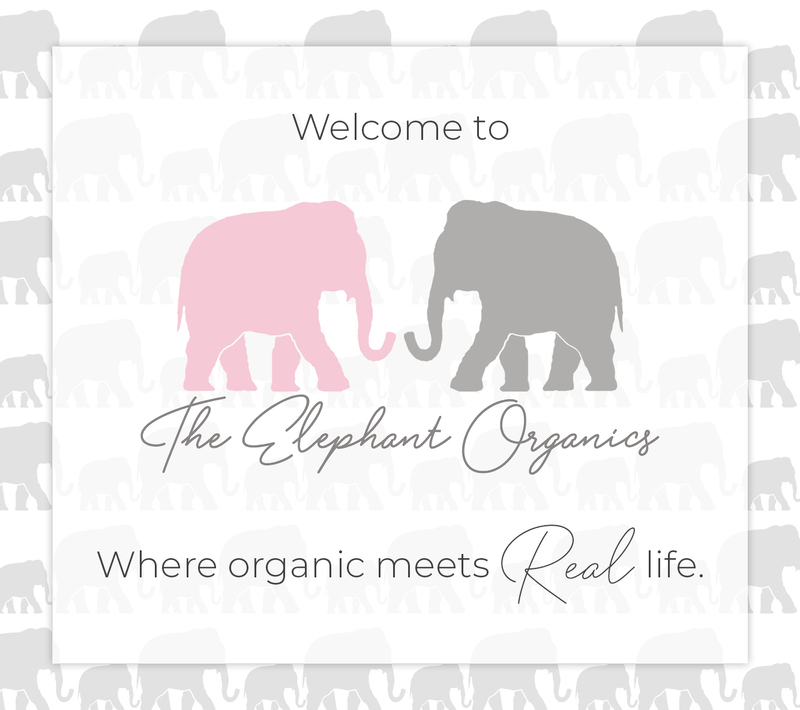 I'm Jackie, and I'm so thrilled to be a guest blogger for Pink Elephant Organics, an amazing eco-conscious clothing company that I've had the privilege of collaborating with for their children's clothing line. When I was a little girl, I spent hours playing outside, pretending I was a fairy, a unicorn or a giant. As I got older, I got away with playing with Barbies (at age 14) by having a 7-year-old sister who was always up for playing pretend. Even at 16, I swam in our pool and pretended I was a mermaid, flipping my hair around and doing the “mermaid-legs-together” swim. At one point, I recall looking up and discovering my brother's older friend giving me an odd look from the bedroom window. He probably thought I hurt my back. 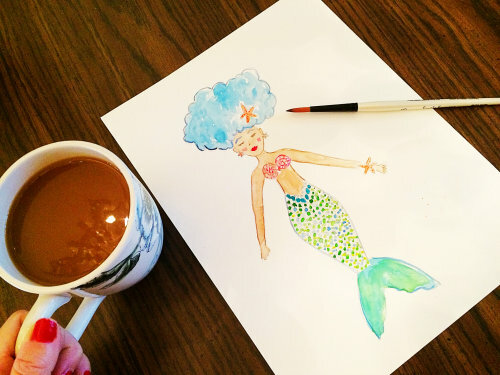 Custom watercolor mermaid for a child's room inspired by my sixteen-year-old self's inner mermaid. Throughout my childhood, my imagination kept me writing stories, sketching cartoons, drawing pictures, and acting in plays. After high school, however, I began to push aside most of my creative outlets, focusing instead on getting my degree from Cal Poly, San Luis Obispo and working a typical 40–50-hour work week. 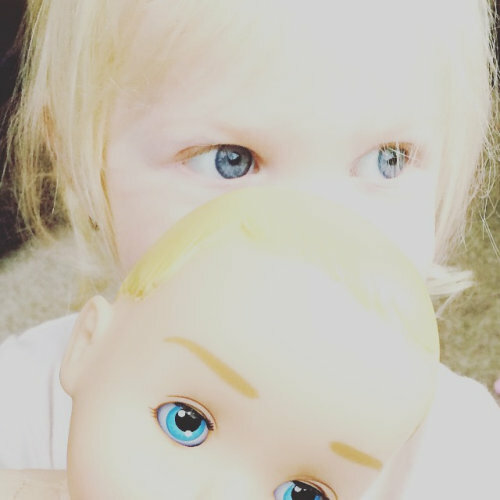 Once I became pregnant, I realized how much I wanted to be home full-time to care for my baby. My husband and I worked on living more frugally so that I could follow that little voice inside, even though hardly any women I knew stayed home and living on one income would be difficult. Not long after I had my first baby, another followed and my heart was full. Although, as many mothers will agree, being home with your kids keeps you very physically busy, but mentally... not so much. There became a space within me that wasn't being filled by work and that little voice inside came back. "Hey you. Yeah you! Do something for yourself that doesn't involve diapers." What could I do that would be fulfilling and possibly bring in some extra income during the window of naptime? I remembered how much I had loved drawing and being creative as a child, and started dabbling in watercolor and illustrations. Over time, I began to give my artwork as gifts. Luckily, I have many supportive friends and family members who encouraged my artistic outlets. 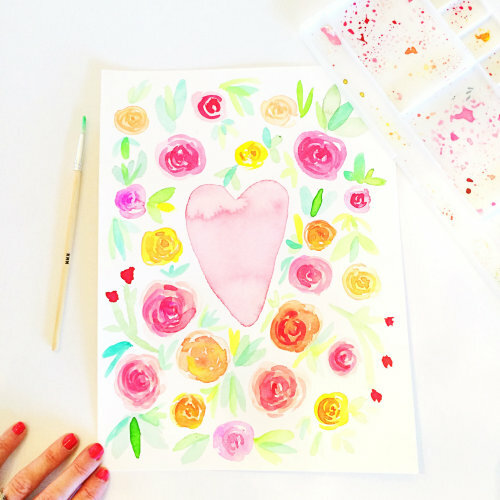 Before long, I opened my Etsy shop, Cup of Jackie, to sell various watercolor prints and offer custom artwork for nurseries and children's rooms. Once I really got going, that voice inside me started to change. I heard, “Yay!” and then it promptly shut up. I took that as a sign that I was on the right track. Two sweet and exhausting toddlers plus painting equals a full heart! Having my children reminded me of my love for being creative and playful. I get so much joy from the small stuff like watching them run from pretend monsters and dancing around our coffee table (usually spilling my coffee in the process). Their simple joy inspires me to create art that will bring a small sense of peace, love, sweetness and positivity to other mothers and children. Of course, there are those days where there are endless piles of laundry, tantrums over wearing pants, and endless sibling fights. That’s when I know that my creativity may be put on hold for a while (or, at least until I can have my standard 24 ounces of coffee). All mothers, whether they work full-time, part-time, or choose to stay at home, deserve to follow that urge to do whatever makes them feel whole. For some, it’s going out and changing the world. For others, it’s having a moment alone to enjoy a good book. For me, it's raising my two children, creating art for others, and being true to myself. That's all I need. Well... that and a couple cups of coffee. Large cups. 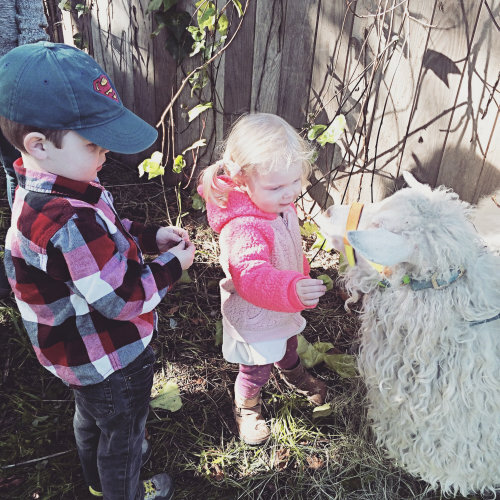 My daughter doing her best to coordinate her outfit with this goat. Thanks so much for reading! 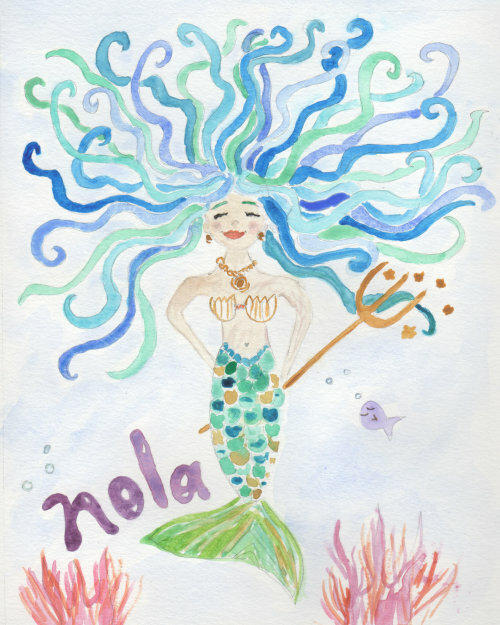 Please check out my Etsy shop, Cup of Jackie for more whimsical and dreamy watercolor creations. You can also follow me on my Cup of Jackie Instagram account to see more of my artistic process.